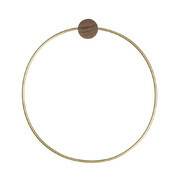 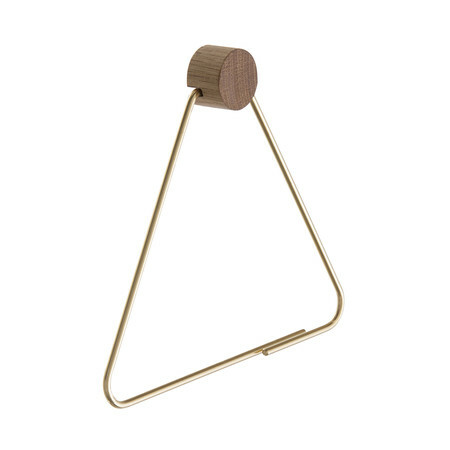 Suspend your toilet roll in unique design with this stunning Brass toilet paper holder from Ferm Living. 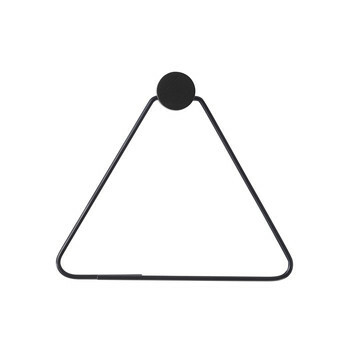 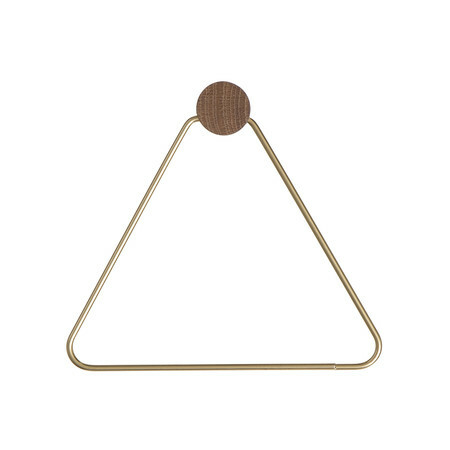 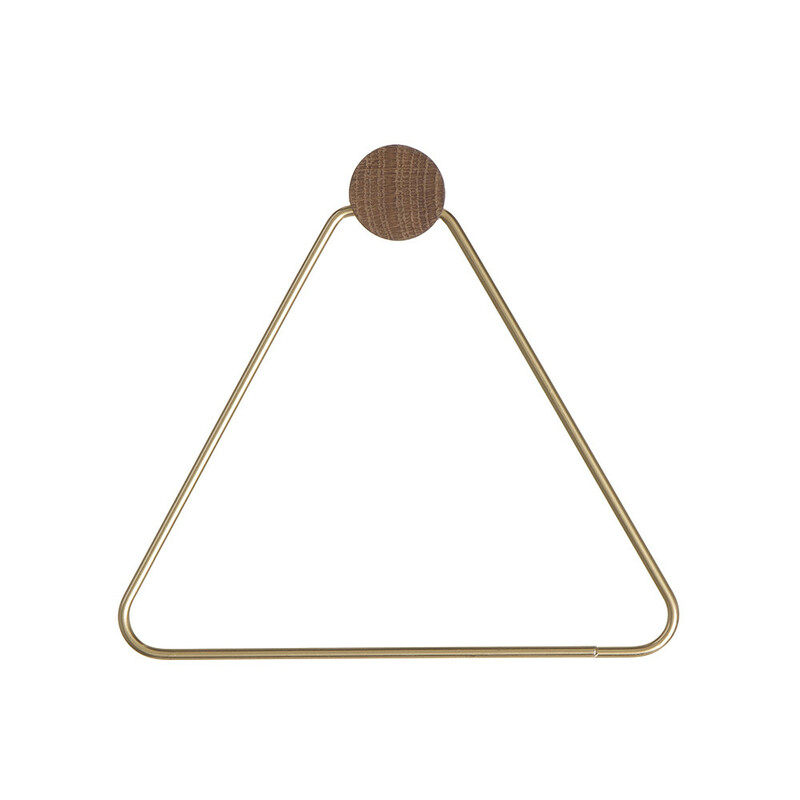 Made from solid brass with a luxurious matt polish finish, this triangle shape adds an extra dimension to any bathroom. Perfect for holding a toilet roll, the holder is secured with an oak wood attachment. 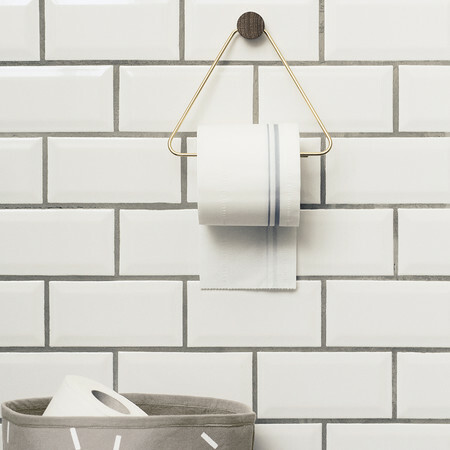 Mix and match with coordinating accessories available separately to update your interior.